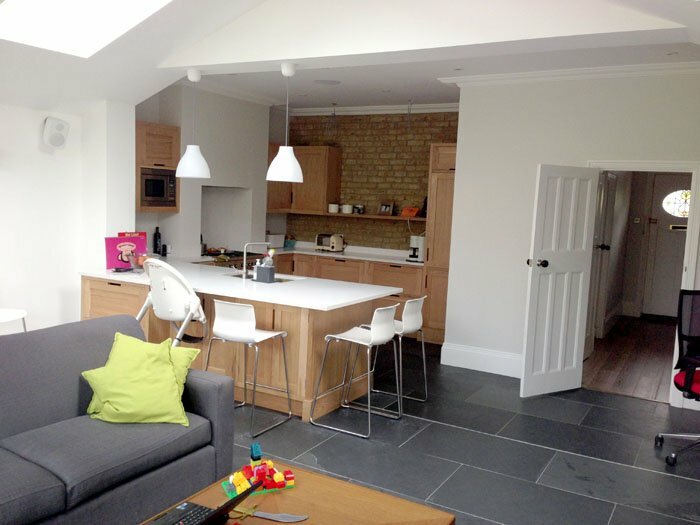 A ground floor house extension to a traditional Edwardian terrace house the existing original kitchen, dining and living rooms were removed and replaced with a single open plan space. 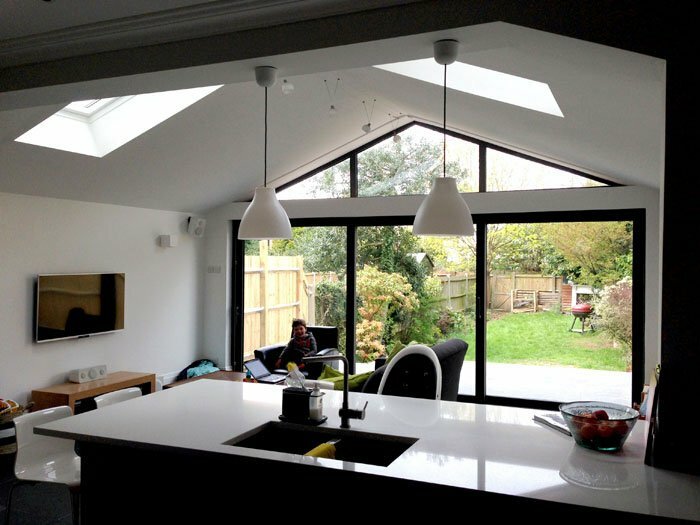 New kitchen and WC were located to the centre of the property and a new full width single span extension to the rear allowed a large living / dining area to look out over the garden. 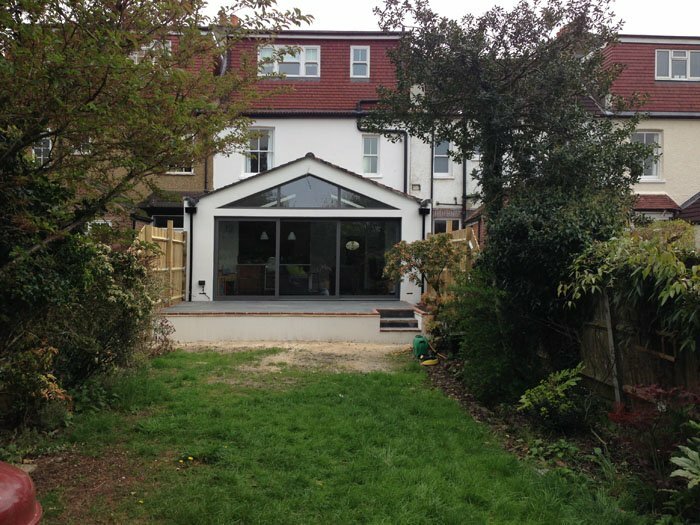 The new structure spans over an existing communal sewer which required careful design co-ordination. 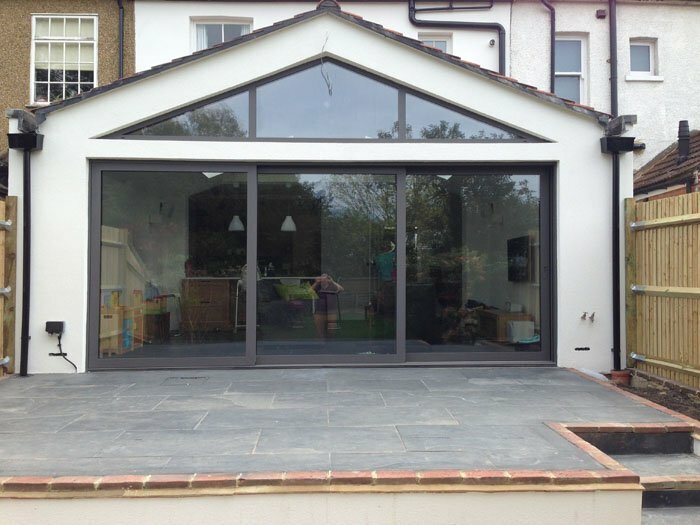 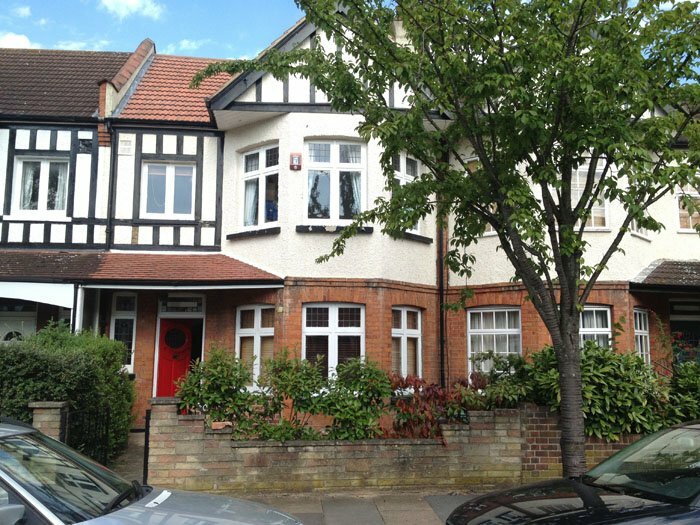 Mark Fairhurst Architects gained planning for the extension from Bromley Council and worked with structural engineer Dan Wallington on the technical design for the project.